The safety and wellbeing of our guests, including children and young people, is of primary importance to Warrambui. 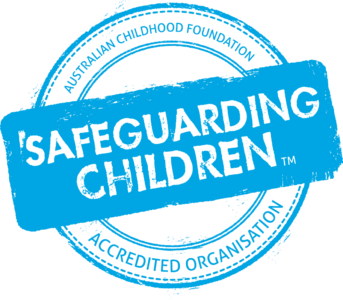 We are proud to advise that we have achieved independent accreditation of our child safety approach through the Australian Childhood Foundation’s Safeguarding Children Program. The following documents outline our position and policies with regard to safeguarding children and young people. When making a group booking, you have our permission (and encouragement) to download the relevant documents and distribute them as appropriate.